Welcome to Day 4 of the Handmade Holidays Gift Guide, a week long guide to handmade gifts for everyone in your family! 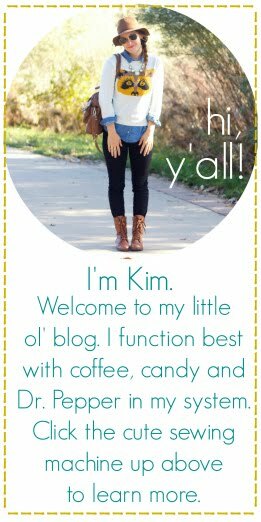 There will be a post each day with a different category for you to shop. I will highlight numerous shops and you will be rewarded with a limited time discount code for each one! It's a win-win situation here, people! Hardworking entrepreneurs will get some wonderful exposure and you will get your Christmas shopping done early! Black Friday, Schmlack Friday! There will also be a surprise at the end, so stay tuned & make sure you follow Oh, Sweet Joy! blog via Google Friend Connect in order to participate. YOU WON'T WANT TO MISS IT! Sewing is something that is near & dear to my heart. It's therapeutic, gratifying, and something that I'm looking forward to passing onto my daughter one day. It's truly a gift and a skill that I am so thankful for! A lot goes into each item. The measuring, the cutting, the sewing, the pressing. Hems, seams, trim, and topstitching. It's time intensive, but the results are beautiful and something to be appreciated! 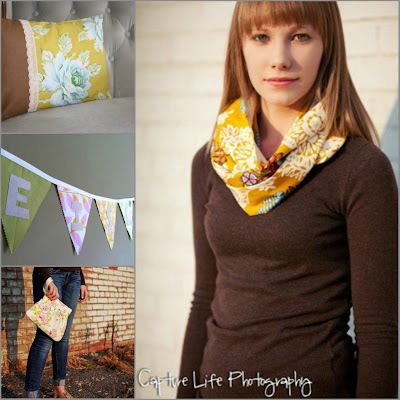 Today's Handmade Holidays Gift Guide post celebrates this - enjoy today's feature of sewn items. I got the privilege to meet Alison, who runs Apearantly Sew, this past April. 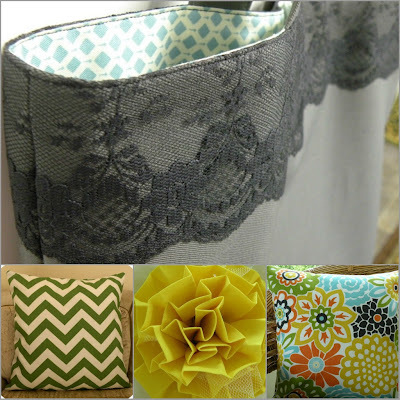 Alison sews gorgeous accessories for you and your home. She has great taste in fabric and is such a talented lady. I can see her joy through her products! You're sure to find something in Alison's shop that you can't live without. Shop Apearantly Sew HERE & use code HOLIDAYGUIDE15 for a 15% discount. Oh, yes I did! 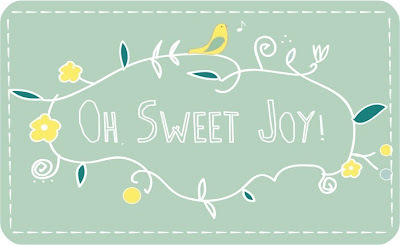 Oh, Sweet Joy is still open for business, but mostly via ready to ship items and limited quantity custom orders. Make sure you contact me soon for custom orders before Christmas! Owls, tote bags, skirts, and coffee cuffs are a few of the items I'll be offering. Shop Oh, Sweet Joy! HERE (or place a custom order) & use code GIFTGUIDE for a 10% discount. Hannah creates lovely and feminine items from textiles that are her very distinct style! 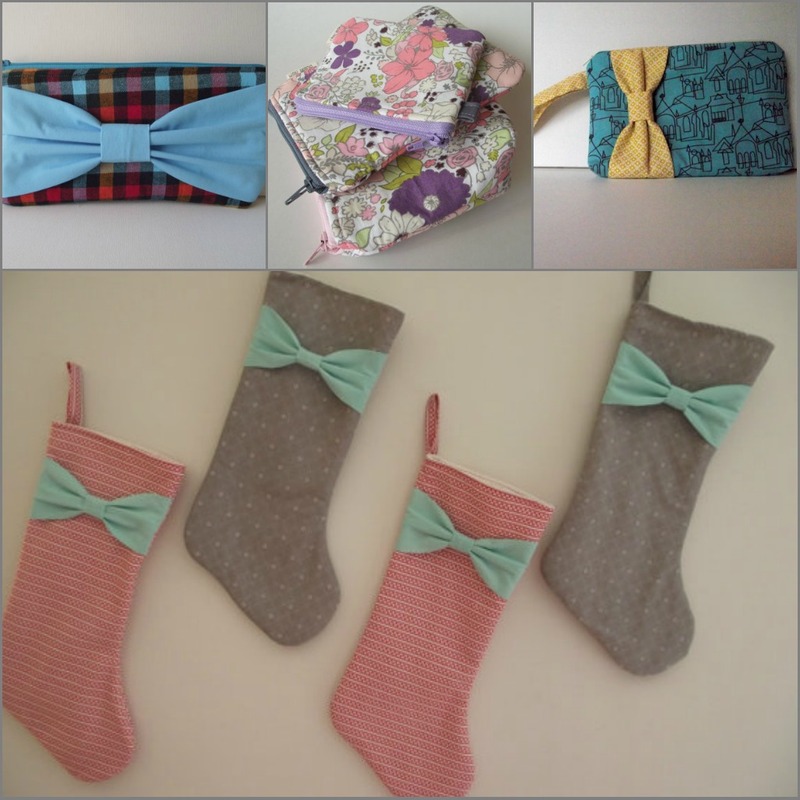 Clutches, zipper pouches, and stockings are just a few items that you'll fall in love with in her shop. HanMade Things is one of those shops that just makes you happy when you click through. Wouldn't you love to hang those stockings on your mantel? Martha Stewart material, right there, folks. 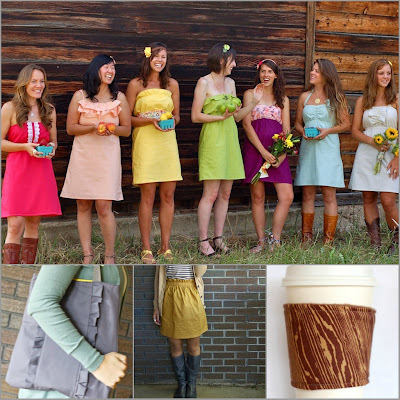 Shop HanMade Things HERE (or place a custom order) & use code OHSWEETJOY for a 20% discount. Colorful accessories that will instantly make an outfit? Yes please! Glow Kouture specializes in unique and fun embellishments to your style. Practical gifts are easy to come by in this shop! Brooches, clutches, headbands - there are lots of options for the girly girl in your life. Shop Glow Kouture HERE (or place a custom order) & use code SWEETJOY20 for 20% off your purchase! Cotton + Wood is a shop that is run by Rebecca, who is SUCH a sweet girl. Polite, kind, encouraging, could it get any better? Yes, yes it can because this girl also makes beautiful things! 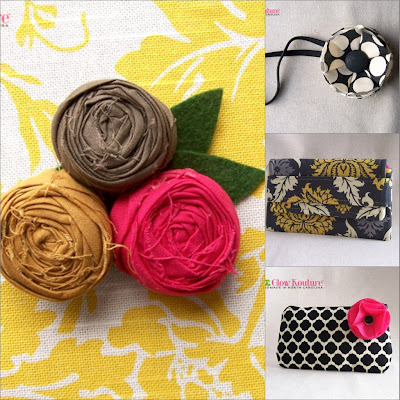 She sews up detailed bags, pillow covers, and brooches that are radiantly colorful and would be a great accent to any home and/or wardrobe. Shop Cotton + Wood HERE (or place a custom order) & use code CHRISTMASJOY for 15% off your purchase! I love that tote bag with the ruffles. Adorable. favorite holiday memory was the first year we had a grandbaby in the family - my son was oogled by everyone and the pictures reminded me of the baby jesus being checked out by the cadre of shepherds and eventual wise guys. what a great christmas. oh and i shared your contest with my sister on facebook! I would love to win this giveaway!!! Fav holiday memory: One year for Christmas, me and my 9 other cousins all made a scapbook dedicated to my nana and grandaddy that we gave them on christmas day. We all worked on a page, that had our favorite memories of them on it and what we appreciated about each of them. They were brought to tears with happiness! It all meant a lot to them and us.